Shipping Transit Timelines | Roadwarrior Inc. 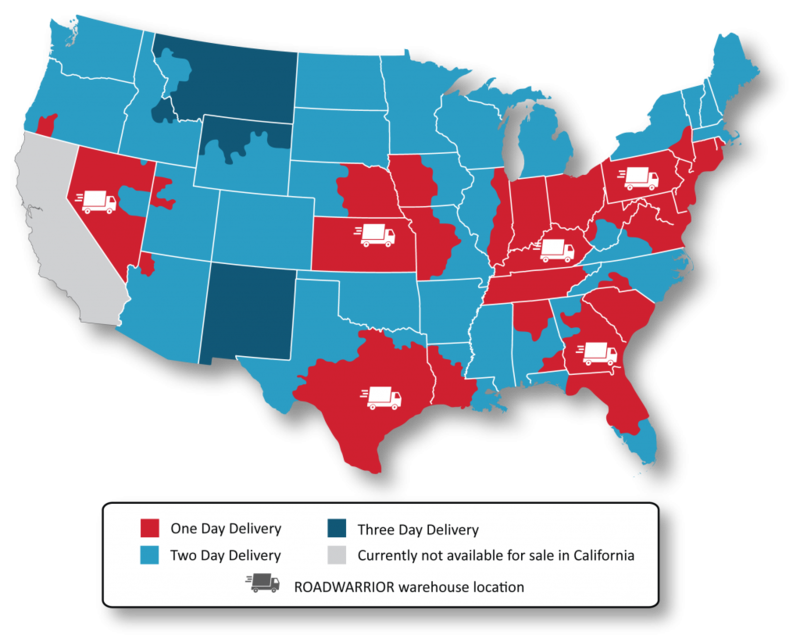 Shipping Transit Timelines – Roadwarrior Inc.
Roadwarrior Inc. has stock in 8 warehouses strategically located across North America to ensure your order reaches you as quickly as possible. The above U.S Transit times are provided for guideline purposes and are subject to availability in the closest warehouse location. For exact shipping timelines, please contact a Sales Representative.